I sometimes hangout in a couple of virtual staffrooms for writers and recently the talk at the virtual water-coolers has been about how success as an author is judged. And the discussion got me thinking about what success as a writer looks like to me. Some colleagues reckoned that being signed with one of the major traditional publishers was an essential part of being seen as a success. Others saw writers who are well-known to a large part of the population through the bestsellers lists, major prize awards, and appearances on television and in the other media as the successful ones. Having a book adapted for television or cinema was another mark of having arrived. And there can be little argument that authors who fall into the above categories are successful. They’re hardworking and successful earners. They’re successful marketers of their work and they’re successful in writing books which appeal to many people. They are validated not only by their content but also by their sales. But what of the rest of us, the majority of us, the mid-listers with the major publishers, the authors published by small independent publishers, or the self-published/indie authors? What constitutes success in these categories? As with the famous bestsellers, it seems in many people’s judgement to come down to sales. It’s not really surprising. Certainly for a publisher with a business to maintain and grow, their authors have to sell well. And even in the indie-author world the consensus seems to be that success equals sales. 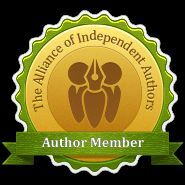 Indeed even the Society of Authors and the Alliance of Independent Authors, both bodies which exist to support and advise writers have a two tier system. Members can be ordinary or professional and it’s their level of sales that determines the author’s status. Here success and even professionalism is most definitely judged by the sole criteria of number of books sold. My opinion is that while sales are most definitely an indicator of success, they’re only one indicator. Sales don’t always correlate with the much more subjective components of success such as literary merit, or writing that seeks to raise awareness or challenge the status quo. As a reader, I judge a writer to be successful first and foremost by how much I enjoyed their work. I’m not interested in who published them, in their sales figures or their media presence. Yes, these things will matter as far as me discovering them in the first place but discoverability, although linked, is a whole other topic. If when reading a book, I was entertained, or moved, or made to think or rethink, or learned something new, if I was captivated and taken to another place in my head – if any, some, or all of these things happened – then that author has, in my view, been successful. And as a writer: How does success look to me? Am I successful? I’ve written three novels. Success! In the above quote I would substitute or equate ‘happiness’ with ‘success’. For me the enjoyment, frustration and challenge I get from the writing process – living in the heads of my characters, letting them surprise me as they tell me their story, crafting the flabby monster of a first draft, seeing the thing edited, honed and packaged, holding the finished article in my hand – that’s success. The achievement of getting a novel to the published stage is success enough. Having just one other person read and enjoy it adds a bit more to that feeling of success and yes, the feeling grows the more readers read it and report favourably on the experience of having done so. But whether I’m successful or not in the eyes of others, it’s not for me to say. However, in my house I’m a world-beating, best-selling author, and I’m a successful writer just by turning up at my desk every day. Sales or the lack of them make me no less professional or successful in my own eyes. Of course I’d like to make a comfortable living from my writing, and yeah, it would be cool to be interviewed on the BBC Breakfast Time sofa, or to pull in the crowds at the Edinburgh Book Festival. But that level of success is not what motivates me, I write because I can’t imagine not doing so. Just the act of writing, to me, constitutes success. How would you define a successful writer? Please do leave your comments below.